Traveling across Lake Washington this weekend? If so, don't forget that all lanes and ramps of westbound SR 520 between 92nd Avenue Northeast and Montlake Boulevard will be closed from 11 p.m. Friday, Nov. 9 to 5 a.m. Monday, Nov. 12. This closure will give our contractor crews room to replace the 1,750 lights located beneath the highway lids at Evergreen Point Road, 84th Avenue Northeast and 92nd Avenue Northeast. All eastbound lanes and ramps, as well as the SR 520 trail, will remain open throughout the weekend. Westbound travelers will need to use I-90 as an alternate route to get across the lake. If you have any questions during the weekend work, please call our on-call construction hotline at 206-200-9484. Crews working to build Sound Transit's East Link project in south Bellevue will install the second set of precast concrete girders during the weeks of Nov. 5 and Nov. 12. Ramp and lane closures will be necessary to safely complete installation of girders and temporary light plants will be used to illuminate the work area. See map below. The ramp from Bellevue Way Southeast to eastbound I-90. Drivers should follow detour signs to reach their destination. The ramp from Bellevue Way Southeast to eastbound I-90 and one lane of the Bellevue Way Southeast to westbound I- 90 ramp. Drivers should follow detour signs to reach their destination. Installation is scheduled to begin Monday, Nov. 5, and will continue Monday-Thursday night for approximately two weeks. Work will take place nightly between 8 p.m. and 5 a.m.
Getting behind the wheel when tired or struggling to stay awake is deadly. 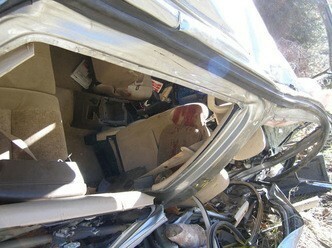 The National Highway Traffic Safety Administration estimates it kills 1,550 people each year. In Washington, we average 13 fatalities a year from drowsy driving crashes, including 7 in 2017 and 15 in 2016. Bill Shaw's daughter, Mora, almost became one of those statistics in 2006. Please give their story a read, and then take the steps to make sure you're well-rested and alert before you operate a vehicle. It's important. 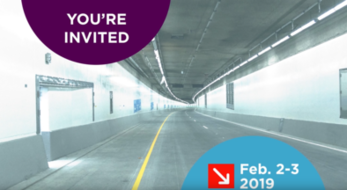 On Feb. 2 and 3, you are invited to attend our grand opening celebration to mark the completion of the new SR 99 tunnel, the final days of the viaduct and an improved and reconnected waterfront. The celebration will include an 8K fun run, a bike ride, an art festival and so much more. Visit the Step Forward website for more information. We hope to see you there! Speaking of SR 99... start making your alternate commute plans now! The viaduct is scheduled to permanently close on Jan. 11, 2019. During this three-week #Realign99 highway closure, both the viaduct and the new tunnel will be closed. This disruption is unavoidable due to the large amount of work involved in re-aligning SR 99 with the new tunnel. Add in some additional ramp closures on top of this major closure, and travelers should expect up to six weeks of traffic disruption. We will need everyone's help during the closure to avoid gridlock. Commuters and employers, you should start thinking now about how you can change commute patterns. We have developed a handout with ideas and resources to help!